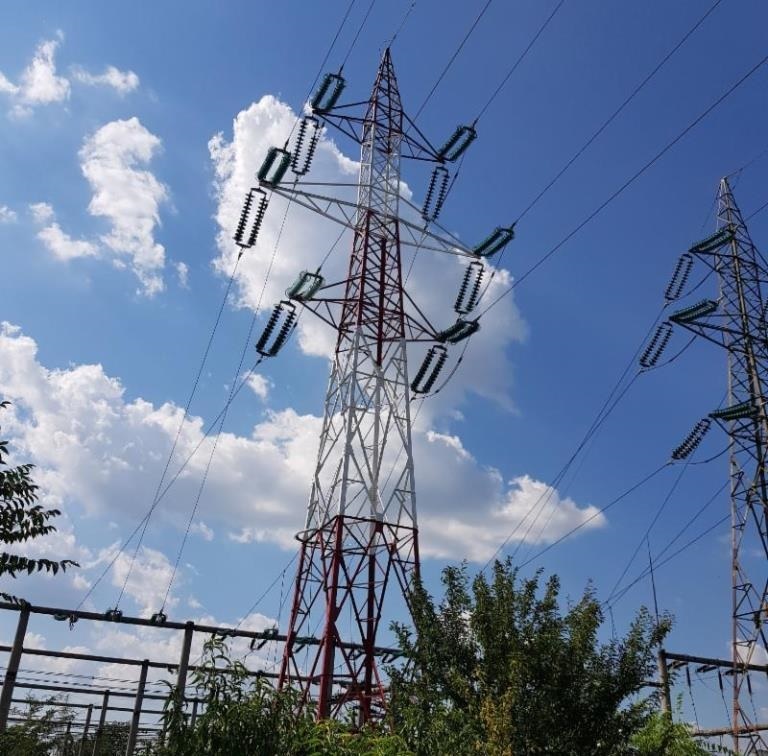 Power distribution company CEZ Romania has recently completed an overhead line upgrade in Craiova, using the efficient and lightweight ACCC conductor for the first time in Romania. Lamifil supplied the conductor for the project, which was commissioned in collaboration with Prelchim. The primary challenge for CEZ Romania was to increase the capacity of their hydro-based 100 kV Craiova – DIF transmission line in the region. Craiova is a political centre in Southwest Romania, located in between the Southern Carpathians and the river Danube. A 248.8 mm2 Gdansk size ACCC conductor proved to deliver the required mechanical and electrical characteristics for this challenge. This conductor is composed of a high strength, lightweight and dimensionally stable single strand composite core of 5.97 mm that is stranded with 2 trapezoidal shaped fully annealed aluminium wires of 4,45 mm. It offers superior performance and capacity compared to conventional conductors of the same diameter and weight. Lamifil provided the ACCC conductor for a total length of 11,4 km for this project. The fittings were provided by Preformed Line Products, while CTC Global provided training and installation support to CEZ Romania. Integrating the high-performance ACCC HTLS conductor will help CEZ Romania to develop a more efficient and robust transmission grid in the region while reducing losses and improving efficiency.